Maybe you don’t like the smell or taste of apple cider vinegar but you will soon change your tune once you read about all the health benefits of this amazing product. Whether you want to promote weight loss, prevent diabetes, detox your body or have shiny beautiful hair, apple cider vinegar has been a proven method for thousands of years. As far back as Hippocrates, apple cider vinegar was being prescribed to his patients. Acetic acid found in apple cider vinegar can help to lower triglycerides in the blood vessels which can lead to thickening, hardening, and narrowing of artery walls. 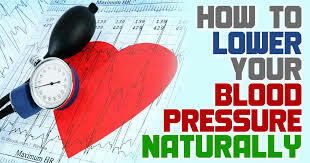 By boosting circulation it helps lower the pressure that your heart needs to pump blood through the body. Because apple cider vinegar aids in metabolizing glucose it prevents the body from over-producing insulin which causes you to crave bad things like sugar and other foods that can add to weight gain. There are so many positive health benefits of apple cider vinegar. Because of its acetic acid, it is important to know that you must dilute it before drinking it down (1-2 Tablespoons in a full glass of water) or add it to some other consumable beverage or dressing. Mixing it with honey or lemon can be a nice way of getting it down more easily. Since 400 B.C. apple cider vinegar has been known for it’s healing properties, and in the 21st century it is no different. You’re going to want to get the good stuff, unfiltered or raw vinegar often referred to as the “mother”. There will be a murky film on the top which has healthy proteins, enzymes, and bacteria present. Apple Cider Vinegar as a Detox. Best way to clean out your system. Apple cider vinegar is full of enzymes which stimulate the liver function and lymph drainage, as well as healthy bacterias which aid in digestion and the elimination of waste. Studies have shown it to bind with toxins which make it easier for the liver to get rid of them. 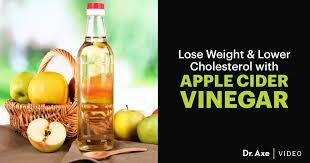 Apple cider vinegar can help your body absorb minerals like calcium and help you to maintain bone density as you age. By pumping up the acid in your stomach it actually aids your body in breaking down foods and helps it absorb more vitamins and nutrients. In my recent post on alkaline water, I wrote about the benefits of drinking water that has a higher pH level. Healthy pH levels hover between 7.3 to 7.5 leaning more to the alkaline side instead of the acidic side. By regularly taking apple cider vinegar you can boost your pH level up and derive the many health benefits you can get from having a higher alkaline system. 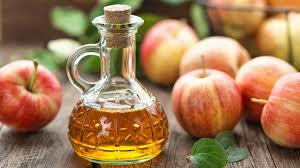 Apple cider vinegar can reduce acid reflux. You wouldn’t think taking acid would reduce acid but in this case, it does. The powerful benefit of balancing pH levels in your body can actually help you get healthy alkaline levels. Low stomach acid can push gastric juices up into the esophagus. Experts recommend drinking a diluted glass with 2-3 Tablespoons of apple cider vinegar in an 8-ounce glass of water before each meal to treat heartburn. Candida can bring a whole assortment of nasty symptoms including, bad breath, sugar cravings, leaky gut, fatigue, joint pain, and chronic sinus issues. 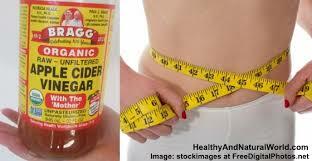 Apple cider vinegar is a natural candida killer. Candida just loves living in an acidic environment and it thrives in it. Apple cider vinegar promotes the growth of healthy bacteria which in turn crowds out candida and flushes it out through the digestive tract. Fight Colds With Apple Cider Vinegar! Apple cider vinegar has been known to aid in reducing mucus by killing off candida and balancing bacteria in the system. To fight off colds and infections drink the apple cider vinegar concoction daily. Many commercial hair products strip your hair because they are alkaline. They disrupt and remove vital acids from your scalp. Apple cider vinegar hair rinse can restore your pH levels and exfoliate your scalp. Your hair will thank you by being shiny and you will never have dandruff or itchy scalp. By improving your gut you will also improve your mood. You actually will produce more neurotransmitters which are similar to hormones that specifically affect your brain. When you boost your serotonin you are naturally put in a better mood. 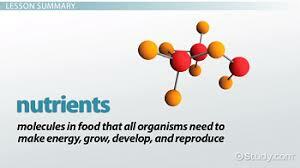 Enhanced digestion is very important a lot of energy is spent on just digesting your food. When you have more apple cider vinegar then you will have a higher energy level which in turn will make you much more active. By taking apple cider vinegar we improve our digestion aiding us in absorbing precious vitamins and minerals more easily. It isn’t always that we are not eating properly it can be how our bodies are breaking down and absorbing the nutrients. Apple cider vinegar has been shown to improve cholesterol levels of unwanted LDL cholesterol and boosting the good kind call HDL. This is an added benefit in reducing your chances of developing heart disease. Apple cider vinegar can make you look and feel young again. Apple cider vinegar has antioxidants meaning it can help reduce free radicals. Free radicals can damage cell walls when they come into contact with them. Eventually, the damage starts to show up and becomes visible on our skin. Because apple cider vinegar improves circulation it aids in skin tone. Any antioxidant will benefit you in anti-cancer properties. Free radicals can cause damage to the DNA which leads to unwanted mutations that can spread throughout the body as cells split. Take apple cider vinegar daily to get the benefits and nutrients your body needs. Aside from many other useful qualities apple cider vinegar is also abundant in manganese. You can be provided with 30% of your manganese by taking it daily. Manganese is important for bone structure and has a co-enzyme which helps metabolic activity. Apple cider vinegar is great for adding a little flavor to many dishes you prepare. There is zero fat so adding it to food is a great way to get the benefits.